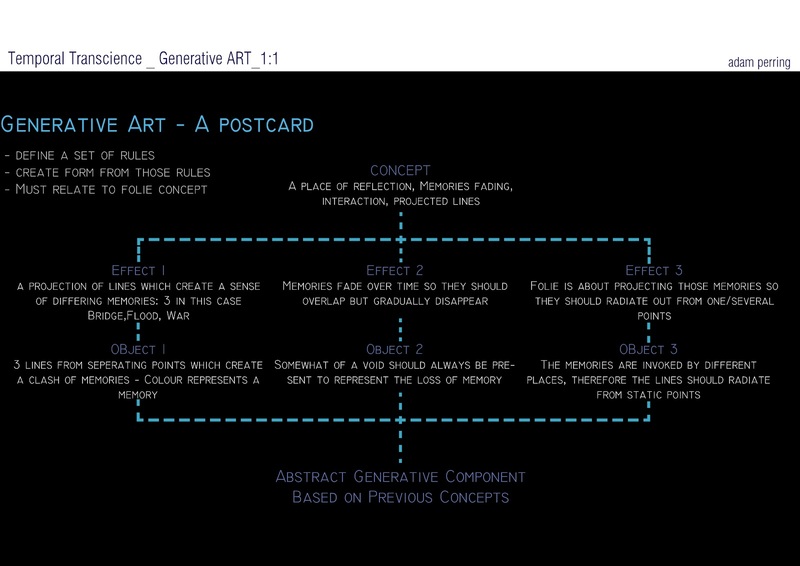 For the first week we were asked to create a piece of Generative Art for a postcard.. I wanted to create something along the lines of my folie so I continued to use it as my concept for this piece. What that meant was that I had to define a set of rules which would guide me through the process of generative creation. Above is an outline of the rules I created which will guide me through the process of creating this design.